MediaHuman Lyrics Finder is a tool that can locate and add lyrics for all songs in your music collection. Do you like to have lyrics with your digital music? If so, you probably have noticed that it can be a pain manually searching for lyrics. 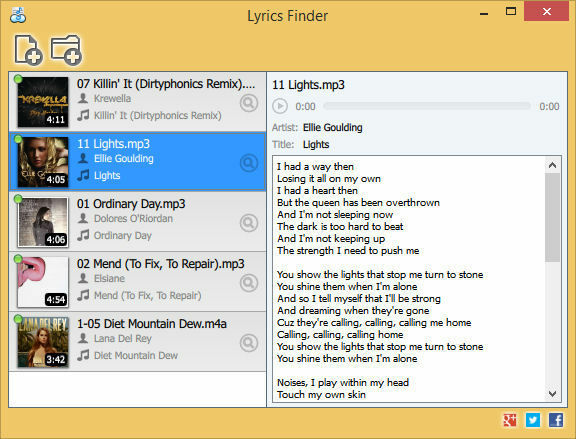 Lyrics Finder can find and add lyrics to files automatically. Just drag and drop in the files you want lyrics for and let the app do the rest.